Wayne’s Coffee is continuing the expansion in the Middle East. Already in 2010, the popular Swedish coffee shop chain opened the first location in Saudi Arabia. Wayne’s Coffee is continuing the expansion in the Middle East. Already in 2010, the popular Swedish coffee shop chain opened the first location in Saudi Arabia. And now it is time to look out for Wayne’s well known logo in The Kingdom of Jordan. 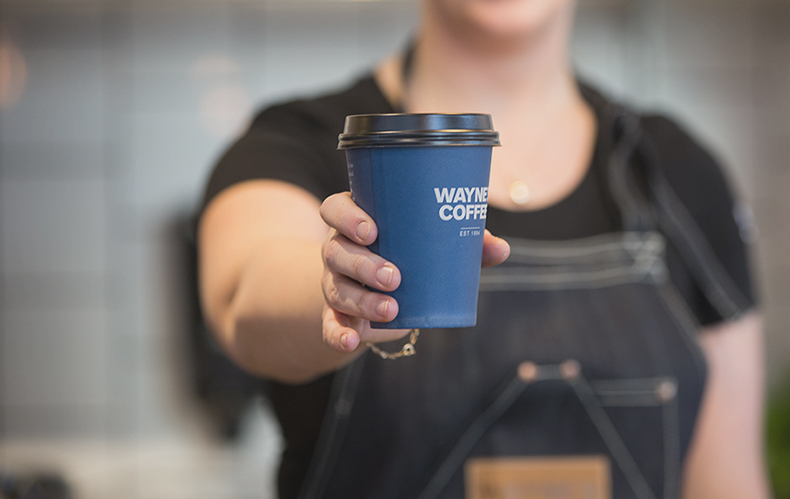 With this new market to be open, Wayne’s Coffee are present in seven countries in Europe and the Middle East. – After the success with our concept in Saudi Arabia, we are delighted to follow up the progress in the region with the opening in Jordan. It is a very important step for us. After the opening in the beginning of 2017, we have high hopes to continue the expansion in several markets in the Middle East. The key to success – the right franchisee! Mats Hörnell explains part the success with the franchise concept within Wayne’s Coffee, where local partners develops the new cafés and expands the brand. – Our new Master Franchisee is a professional partner that will implement our unique concept and work hard to create a strong local precence. The popular coffee shop chain from Sweden is already present in six countries. Apart from the home land, you can visit Wayne’s Coffee in Norway, Finland, Estonia, Cyprus and Saudi Arabia. And now a seventh country is added to the list. The local partner to Wayne’s Coffee in Jordan is Ghassan Taha. The family Taha operates business within the security sector, in Jordan, Dubai and Saudi Arabia – and has been impressed by Wayne’s concept and success in Saudi Arabia. – We are happy and honoured to get the opportunity to become the Master Franchisee for Wayne’s Coffee in Jordan. The cooperation with Wayne’s Coffee International, will take the unique Swedish ”fika”-concept to a new market and give our guests and totally new and exciting experience. – Our focus will be to offer an exceptional coffee and a wide range of healthy food in an environment where the guests fell welcomed, can relax and hang out with friends and families. And that is exactly what Wayne’s Coffee stands for, says Shaher A. Al-Hawamdah.